BEIJING (AP) — Authorities in China say at least 14 people have been killed and 27 injured in a highway pile-up. 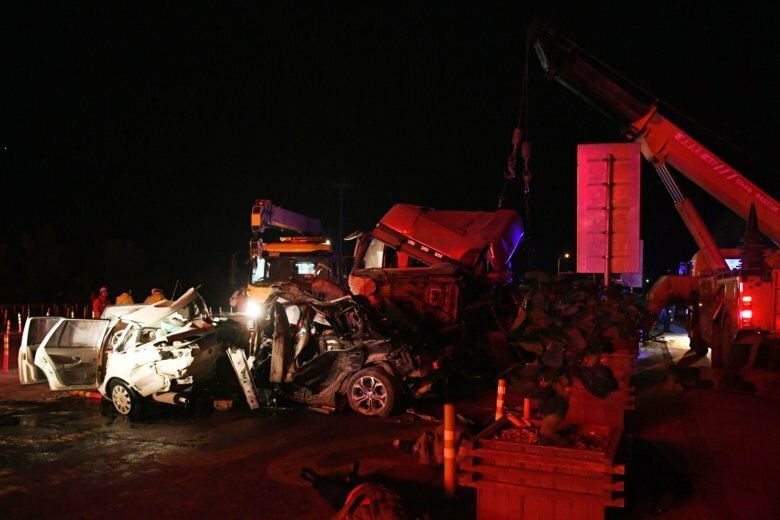 The accident Saturday night happened after a heavy truck lost control and crashed into a line of vehicles waiting at a toll station in the northwestern province of Gansu. Last week, 15 people were killed after a bus to plunged off a high bridge into China’s Yangtze River in the western city of Chongqing. In that previous crash, an eight-second surveillance video released by police showed the driver and a passenger arguing and grappling with each other in the moments before the bus suddenly veered across oncoming traffic and off the bridge.